Break out your sunglasses, sun hat, gardening gloves and sunscreen because the gardening season swings into overdrive this month. Wow, do we have a jam packed month for all of the gardeners. Starting May 1st, we have expanded our hours. We are now open 10 hours Monday through Saturday and 8 hours on Sundays. The first weekend of the month starts with David's annual Square Foot Garden class on May 6 at 9AM. Craig Witt will have the Full Circle raised garden planted for the class, using all Full Circle products. The next weekend we will be in a scented heaven with the hundreds of roses that will be arriving for our Mothers Day Weekend Rose sale. The third weekend of May we swing into Tomatomania. The Carson High School Jazz Band will be kicking off this fun weekend again this year with a performance on May 20th from 11 AM - 1 PM. The band boosters will be hosting their annual hot dog stand from 10 AM - 2 PM. Come on out and support the Carson High School Music Department and take home some great tomato and pepper plants. Good results come from good soil. We know that on the Eastern slopes and valleys of the Sierras we fight high pH, alkali salts and fairly sterile soil with little or no naturally occurring organic matter. With all of the choices for soil amendments and fertilizers, it becomes very confusing as to what are the best products to amend and fertilize your soil with. Start with your location and current soil conditions. Do you live in an area that features heavy clay and poor drainage? Or do you live where the soil is sandy and drains very quickly? Bumper Crop and Black Forest Compost are great options for both conditions. They are both organic and contain mycorrhazie (beneficial naturally occurring fungus which enhances the roots ability to better utilize water and nutrients out of the soil). If you are considering amending the soil in a raised bed either Bumper Crop or Paydirt are the best choices. Paydirt comes with or without mycorrhazie, purple bags have it and orange bags don't have it. If you have or are planting acid-loving plants (including blueberries, rhododendrons, azaleas, etc. ), use Azalea, Camelia, Gardenia Planting Mix. This versatile mix can be used as both a soil amendment or potting soil. Finally, if you are planting roses, use the Rose Planting Mix. It has been especially formulated to get our roses off to an excellent start in Northern Nevada. Don't forget through out the entire month of May all Bumper Crop and Paydirt bags are on sale: BUY 3 BAGS, GET THE 4TH BAG FREE. The Early Farmers Market starts up again on May 6th and runs through May 27 from 9 AM to 1 PM. It will be in the same spot, in the parking lot on the corner of Nevada and Musser Streets behind Due Sorella. Expect lots of new vendors this year,S and music by Ricky D every week. The tomato plant is the most popular vegetable plant selected by our customers every year. No matter how many tomato harvests you've seen, each new growing season offers the promise of a crop that's more abundant, more delicious, healthy, and more beautiful. The following tips may be helpful for your tomato growing end results. Most tomatoes need only 6-8 hours of sun a day. If the area you plant in gets more sun then that, try planting in rows that run north to south. During the day one side of the plant will get morning sun and the other side will get afternoon sun. This may help to prevent sun scald on ripening fruit. When planting tomatoes in containers, choose determinate varieties. They are more compact. Container-grown tomatoes will require more frequent fertilization, about every 10 days, and more water then those planted in the ground. If using a plastic pot, especially black, the soil will heat up much faster and may require a cover such as burlap for the outside of the pot so the roots don't cook. Select the appropriate fertilizer for tomatoes. Fertilizers higher in nitrogen make for a beautiful plant with no tomatoes. As the tomato plant gets more mature, the bottom leaves may start to yellow. This is normal. The leaves that no longer get sun are not useful in producing food for the plant, so they're sloughed off. Watering here in Northern Nevada seems to be such an issue. Water in the morning time, once a day and avoid evening watering. Keeping a steady moisture level can help with cracking of ripening fruit. Calcium deficiency can be an issue in our area. This causes a condition called blossom end rot, which causes a black rot on the end of the tomato - making it inedible. This can be corrected with a calcium spray and a balanced vegetable fertilizer which contains calcium. Blossoms won't set when it is too hot. Blossoms set best when the daytime temperature stays below 85 degrees. When it gets hotter here, we have to rely on a product called Blossom Set to help with that. There are some varieties of tomatoes that grow better at higher temperatures. Also mulching around the base of the plants will help keep the soil cooler and conserve water. Relocate your tomato plants every year to stay a step ahead of soil borne diseases and pests. Select a garden location where tomatoes and other nightshade family crops (peppers, eggplants, and potatoes) have not been grown for 3 years. Tomatoes are very cold-sensitive, and if you think you are going to get a jump on our growing season you will need to use season extenders such as Wall O' Waters, frost blankets, and chemical sprays such as Freeze Pruf. Attend David's seminar on May 17th at 9 AM, "All About Tomatoes and Peppers", to get even more information on successfully growing great tomatoes in Northern Nevada. Chinese New Year 2017 is the Year of the Rooster and here at Greenhouse Garden Center Gift Shop we are celebrating roosters too!We have a tasteful and varied selection of roosters for anyone's decorating style. Hydretain ES Plus cuts summer watering up to 50%. It is a unique blend of humectant and hygroscopic compounds that manage root zone moisture, significantly extending periods between required waterings for turf, ornamental plants, shrubs and trees. Hydretain ES Plus is available in a granular form or in a liquid hose end spray. Delightfully aromatic foliage and year round color make creeping wintergreen a favorite ground cover for partially to fully shaded areas. This plant produces white flowers lightly tinted with pink in spring, turning to red, with edible fruits in the summer. Creeping wintergreen foliage starts out as glossy green and turns red as the weather cools. Fertilize, Fertilize, Fertilize! Consider adding an injector system to your drip system - it's simple, easy and very cost effective. Most trees, shrubs, and flowers like a more acidic food here in Northern Nevada. If your plant material is on a drip system, apply Jobe's Organic Fertilizer Spikes at the area of the emitters, Master Nursery Multi-Purpose Fertilizer 16-16-16 is also a good alternative. 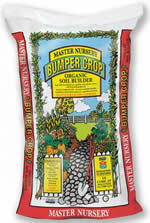 For a more organic approach to fertilizing, consider DR. EARTH or Gardner & Bloome Fertilizer. Spraying pine trees with two different fungicides, such as Daconil and Phyton 27, will stop the spread of several deadly diseases. Begin spraying when the needle tips are elongating and continue to spray once a week for 3 to 4 weeks. Frost happens! Freezeproof enhances plants' natural antifreeze properties. This product adds protection to plants of 3 to 9 degrees up to 30 days. Spurge can be controlled now by applying pre-emergent Weedbeater Complete to the lawn. This pre and post emergent product will kill existing actively growing weeds as well as kill the weed seeds without hurting the grass. Keep after the coddling moths to prevent those wormy apples. After apple and pear trees have experienced 80% blossom drop it is time to apply Bonide Fruit Tree Spray or Captain Jacks Deadbug once a week for 3 weeks. Aphids begin appearing on the snowball bushes, birch, plum, peach, cherry trees and roses. Effective treatment includes any one of the following, or in several combinations. Imidacloprid, a systemic soil drench, available in formulations for edibles and non-edibles, is a once a year application. It does take up to 4 weeks to be systemically absorbed up into the entire plant. A contact spray may need to be applied three times at 5-7 day intervals. Ladybugs or Green Lacewings are an organic way to control aphids, if you don't wish to nnuse chemicals. Continue to shade your pond. Use Microbe-lift and Barley Bales to control algae. Fertilize pond plants with Organic Fertilizer Spikes. Petunias, alyssum, and calendulas will take some frost. Marigolds, salvia, vinca, impatiens, tomatoes and peppers turn black at 32 degrees. So be cautious! Annual bedding plants, water plants and perennials arrive almost daily now. Plant corn, potatoes, asparagus and summer bulbs early this month. Dust your cabbage with Vegetable and Garden Dust. Plant all your warm season vegetable seeds around the 15th to avoid frost. Makes a great Mother's Day breakfast or brunch, and it's easy enough that the kids can help make it. Coat a 9x13-inch baking dish with melted butter. Spread any remaining melted butter over bottom of dish. Sprinkle brown sugar and cinnamon evenly over melted butter. Arrange bread in two layers over brown sugar mixture. Beat eggs, milk, and salt in a bowl; pour over bread. Serve warm, with your favorite French toast toppings.